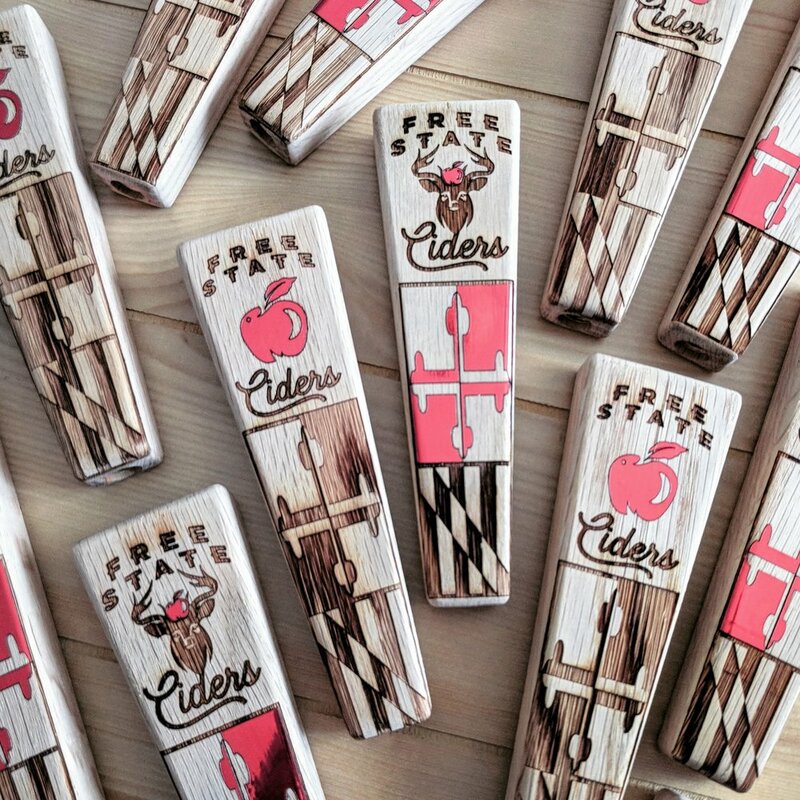 Free State Ciders is a family owned Maryland winery, established in 2017, specializing in hard apple ciders. We use the highest quality apples harvested exclusively from family owned farms in Maryland. At Free State Ciders we use old fashioned cider production practices combined with modern equipment to produce the highest quality hard apple ciders. We hand pick every apple from select varieties for clean and aromatic flavors. Our ciders are aged with natural ingedients to develop complex flavors. They are semi-sweet to dry, best served slightly chilled, and bottle conditioned for a crisp finish. Free State Ciders produces only the highest quality ciders. As we grow we will continue to work with farms around the state of Maryland. We will experiment with new flavors and practices to develop new hard ciders. Our team harvesting apples from Larriland Farm in the fall of 2015.